Reports have recently emerged about a new casino resort planned for the paradise beach resort of Boraca, Manila and it’s causing outrage with locals. The area is an unusual choice of location for a casino development, and so that got us thinking – what are the world’s weirdest casino locations? Here’s a list. The mile-high club is given a whole new meaning with the Casino Jet Lounge from Airjet Designs and Designescence. Yes, you read that correctly. It’s a passenger jet that has been fully kitted out with a functioning casino. 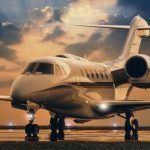 The premise behind this bizarre casino venue was to re-kindle the golden age of air travel by offering passengers a flying experience that is truly special. 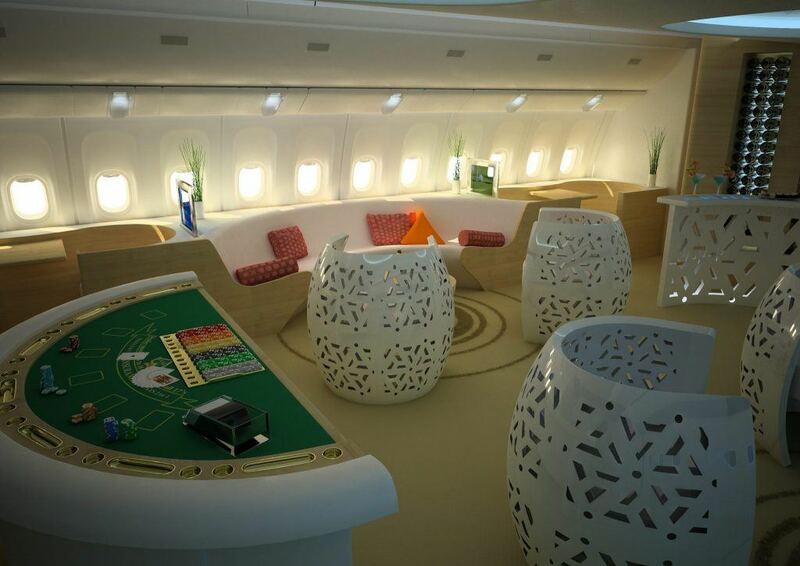 Gaming tables, a bar, and space to move around freely in are all features of the plane. Fly like this once and the prospect of flying with American Airlines will seem preposterous. Quaint English country houses inspire thoughts of Downton Abbey, Pride and Prejudice, and posh afternoon tea. The last thing you would expect to find in the basement of one of these buildings is a casino. In fact, that is exactly what you will find if you take a trip underneath floor level at North Cadbury Court. 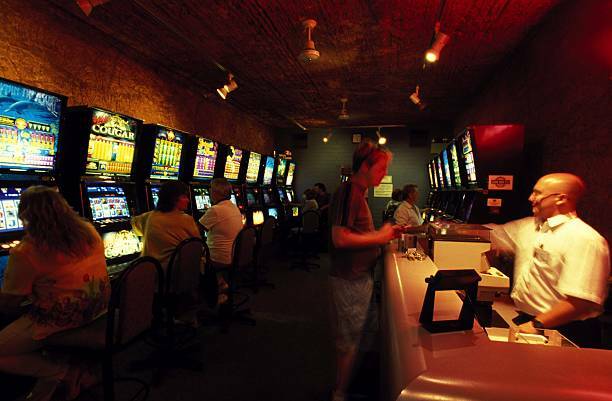 The owners took the unusual decision to renovate the basement and turn it into an underground casino and it can now hold up to 30 players betting on blackjack, roulette, and poker. 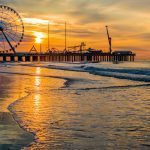 Local croupiers are booked to run the games and the casino is exclusively open only to those individuals that hire out the entire venue for a function. Remote casinos do not come more isolated than the Desert Cave Hotel in the Australian Outback. Guests at the hotel have the opportunity to play on the 16 poker machines that are located underneath the desert. The subterranean casino can be found a daunting 850km from the city of Adelaide. The unique experience of gambling in a casino space that is carved out of the rocky desert landscape is a once-in-the-lifetime opportunity. Resorts World by Genting is one of the biggest casino brand names in the world and their land-based and online casinos are popular with players all over the globe. This casino is nestled among the mountains of Pahang in Malaysia. It might be a tricky resort to get to but once you arrive you will see just why the company chose that area to build a casino. 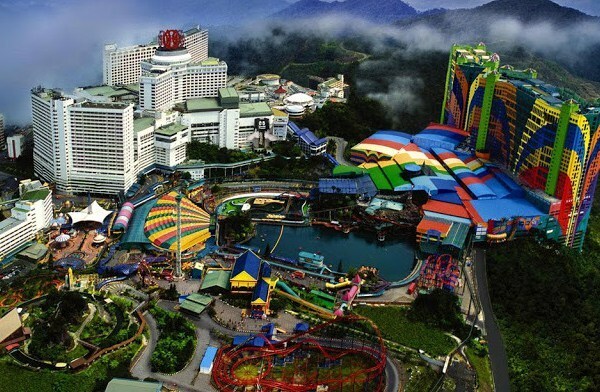 The views of the surrounding 150 million year old rainforest are breathtaking and that’s because the casino was constructed 6,000 metres above sea level and is 45 minutes from the nearest city, Kuala Lumpur. If you promote your casino as being built on a puddle then you really should re-think your marketing strategy. However, in the case of the Rivers Casino in Des Plaines, it is this fact that is the exact reason why the casino has proved to be so popular. Casinos within the state must, by law, operate on water. The majority of casinos come in the form of riverboat casinos but Rivers Casino has found a loophole. The building was constructed on a shallow area of water so that it remains, technically, on water. The casino was only opened in 2011 and is conveniently positioned just minutes from the downtown area of Chicago and O’Hare International Airport. 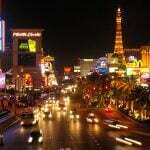 It offers 1,000 slot machines and over 50 classic casino table games including baccarat, blackjack, poker, and roulette. 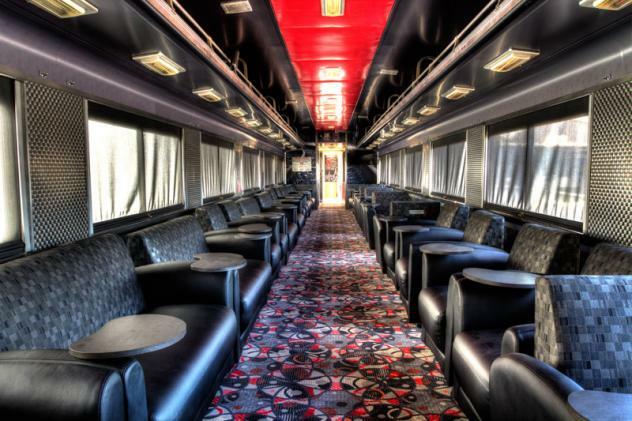 It might sound like the latest Dwayne Johnson movie but X-Train is literally a mobile casino. Mobile because it’s on a freaking train. The innovative casino has not been completed yet but its construction is nearing the final stages of planning. Once open, it is certain to be one of the big hits in Las Vegas and will give gamblers an experience at the casino tables like they have never witnessed before. The renovation is estimated to cost $1 million per carriage. 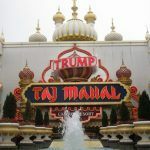 A casino built on a puddle has already been included on this list, so we might as well include the casino that was actually built on the sea. 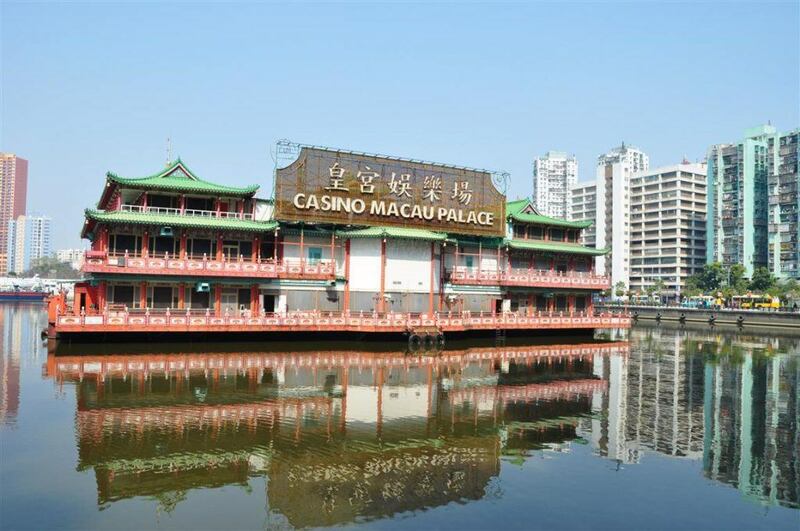 The Macau Palace was situated in the Fisherman’s Wharf area of Macau and it was a two-storey venue that was nicknamed the ‘Pirate Boat’. The casino became famous for appearing in the 1974 James Bond movie The Man with the Golden Gun but unfortunately, it was closed in 2007 and towed away. Was it destroyed? Was it moved to a more secure location or was it set free onto the high seas to live out its remaining days on the waves?